What if... you really could have the kind of deep, lasting connection you've always wanted? And what if... creating this kind of connection allowed you to feel so confident in your relationship, you knew it would stand the test of time? 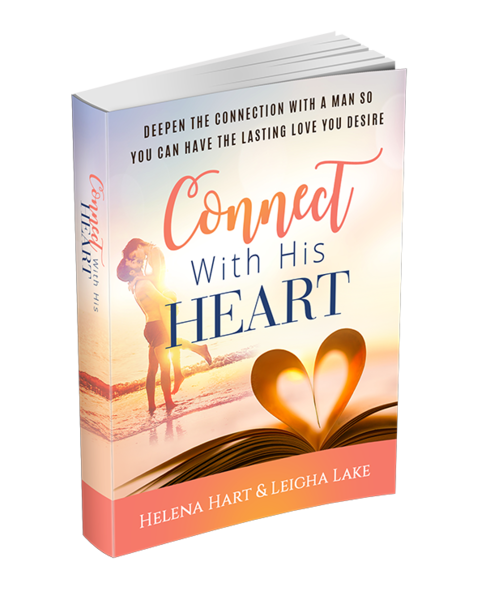 If you're ready to understand how to have the kind of deep, lasting heart-to-heart connection that naturally inspires a man to want to pursue you for a lifetime (even after years being together) - you're in the right place! Have you ever found yourself in this situation....? You started dating a man and everything flowed so smoothly - until one day, it didn't. Things no longer feel the way they used to and now you have no idea why, or how to get the connection back (or if it's even possible). Perhaps he came on strong in the beginning - he really pursued you - so you KNEW without a doubt how he felt and you opened yourself up to him. Then the next thing you knew, you were the one chasing HIM, and feeling bad more than good. You might have purchased dating and relationship books or programs, researched the Internet for answers, or maybe even talked to professionals, but you never got lasting results - nothing changed in a permanent way. Maybe you've already tried everything that DOESN'T work when it comes to having a deep, lasting connection with a man. Perhaps you've tried having long, drawn-out talks and conversations with him, only to end up not really feeling any better than when you started - or feeling emotionally exhausted and even MORE frustrated and alone. Maybe you've seen all of your close friends and family members struggle to keep their relationships together, and you want to make sure that you don't end up in the same situation. The CONNECTION you have with a man is the #1 most valuable asset in the relationship - it's even more important than the "labels" and agreements you have with each other. If learning and understanding how to increase the passion, deepen the connection and intimacy, and create more joy and pleasure in your relationship is of value to you, you'll want to keep reading. In almost every situation where there's a lack of connection, it's because we're going about trying to connect with a man through ways which NEVER quite get us to that close, intimate place. If you don't understand how to create (or reignite) the passion and deep connection, you'll be missing out on one of the most fulfilling, joyful and deeply satisfying experiences possible in this life. Knowing EXACTLY how to do these three things is what will allow you to create and maintain a passionate, deeply fulling connection that will last throughout the course of your whole relationship. When you learn how to create a deep heart-to-heart connection with a man, you'll ultimately avoid the "natural" decline of intimacy and common relationship struggles most couples encounter after the initial excitement and chemistry wears off. Create a dynamic in your relationship that feels EASY and more fulfilling, because you'll know exactly what to do (and NOT do) to keep the love, romance, passion and connection going for a lifetime! Instant access to all 3 audio classes - this is everything you need to create a deep heart-to-heart connection with a man! These recordings are conveniently broken up into 3 one-hour classes that you can listen to on your computer, smartphone, or tablet - even when you're on the go! 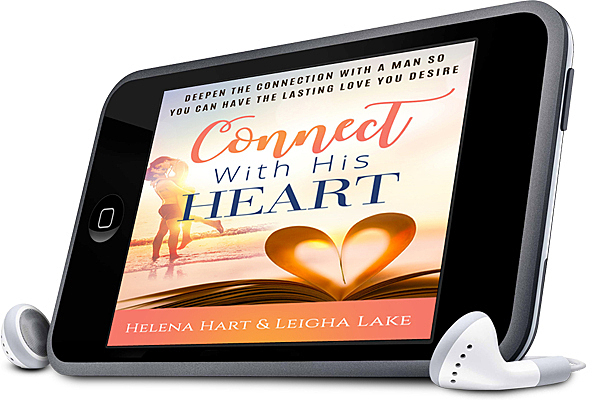 Click the button below to purchase Connect With His Heart at the special sale price - you can use a credit card, debit card, or Paypal (it's easy, safe and secure) - and you'll automatically be emailed your login information. If you need any help with your purchase, contact support@commitmentconnection.com and they will get you everything you need.